Home HOLLYWOOD MOVIE REVIEWS AND PREMIER DATES IN CINEMAS NEAR YOU New Disney movie! "Moana". ...see details and trailer here! New Disney movie! 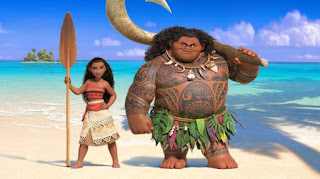 "Moana". ...see details and trailer here! "Moana" - from Walt Disney Animation Studios. Auli'i Cravalho and Dwayne Johnson provide the lead voices in the computer-animated musical fantasy adventure film. November 23, 2016., in theaters.